We recently chatted with Peter Woo, a graduate from the London School of Economics, to talk about his journey into consulting and life at Deloitte. He took an interesting pathway to get into consulting, and he dishes great info about what it was like to break in – and how life REALLY is on the inside. Jenny Rae: Before we begin, I just want to saw how great it is to talk to you today. I’m sure you have a lot of great insights for all of our readers. First of all, I’d love you to share a bit about your background – where you came from and where you went to school – everything leading up to where your interest in consulting started. Peter: Yeah, sure. I was actually born in Korea and moved to the States. I grew up in the Bay Area, actually, from elementary school to high school, and during the college process I actually decided to not attend the university in the U.S. after getting several offers from local schools. I decided to actually come to the UK to finish my undergrad and my masters. In undergrad I went to Warwick University to study economics, and I went to the London School of Economics for my postgrad. While I was in undergrad I was fortunate enough to get an internship at Lehman Brothers. At the time, it seemed like an amazing opportunity, but looking back it doesn’t really seem that way! I got a lot of very good experience while I was there, learning market research, analysis, DCF calculations, financial valuations, etc. However, actually, during the process it became very mundane. The hours itself are self-explanatory but the work itself became very, very, very mundane. At the same time my roommate got an internship at McKinsey and he’s still working there now. From conversations with him and hearing about life there in terms of what he was able to do, the travel and the work that he was doing with several different clients, I slowly became interested in consulting. Jenny Rae: Tell me a bit more about your background; which school did you go to in the UK? Peter: Yeah, sure. So my undergrad I went to the University of Warwick, which is slightly outside of London. I focused on PPE, which was philosophy, politics and economics. And for my masters degree I went to the London School of Economics. Jenny Rae: Great. And so in PPE, were you interested in business in general, before everything happened with Lehman Brothers did you think you are probably going to stick with the investment banking industry? Peter: When I was at Warwick, it was a massive feeder school into investment banking, and finance, but slightly less into consulting. So there I was, doing PPE at a school that all the major investment banks come to, so I just got caught in the process, and that’s how I got interested in banking. Even if Lehman Brothers didn’t fail, I’m not sure if I would still be in banking, however I would still be focused very much on finance, but I wouldn’t be in the M&A front office at the moment, I think. Jenny Rae: Just to interrupt – tell me more about your timeline from Lehman Brothers into consulting. Peter: So in the summer after my second year at uni, I was with Lehman Brothers in London, right up until their Chapter 11 filing. During this time, I kept on having conversations with my roommate about consulting. The summer after I finished undergrad, I went to LSE for grad school and became very involved in the Consulting Society because consulting seemed so much more interesting than banking. After that, I applied to consulting jobs and got two offers. I accepted the offer from Deloitte and I’m still there now. Jenny Rae: You talked a little bit about the Consulting Society at LSE. Can you talk a bit about the support network at the Consulting Society and how they prepared you for consulting interviews? Peter: I think compared to the other schools I’ve been to within London, LSE is well renowned for the support that it gives the students, especially from a societal perspective. Within the consulting society, there were extremely helpful and supportive in terms of facilitating connections with its alumni, MBB, the Big Four and boutique firms. That a lot of these firms are based in London is also a massive plus. I was able to attend “off-site” days within MBB and big four offices, etc. throughout London. Being able to sit down for about three or four hours with the alumni to go through the application process, what they did wrong during that time, how they could better improve, and what they did well was amazing because it gave a lot of people within the society a lot of the insight into how should they be approaching certain interviews. Jenny Rae: It sounds like you had a lot of support, throughout the whole process. When you actually began the interviews, what did you discover? What was the most useful insight that you had gotten from people that you put into practice? Peter: I think the one thing that I was really, that really, really help me was actually my friend at McKinsey who still works there, he told me to be really relaxed. When I first started doing interviews, I’d get nervous and make the answer a lot more complicated than then really needed to be. Now if I think about it, a lot of the answers are really simple and really clear. Jenny Rae: How did you ultimately make your decision on where to go? Well, let’s first talk about where you interviewed, then we’ll talk about how you made the decision. Peter: Sure. So I’ve had first-round interviews for McKinsey and Bain here in London, as well as PWC, EY, KPMG, Deloitte, as well as Booz and Monitor, which they don’t exist anymore. I also had interviews with the internal consulting divisions at banks, so J.P. Morgan and UBS as well. Jenny Rae: Wow. Okay. 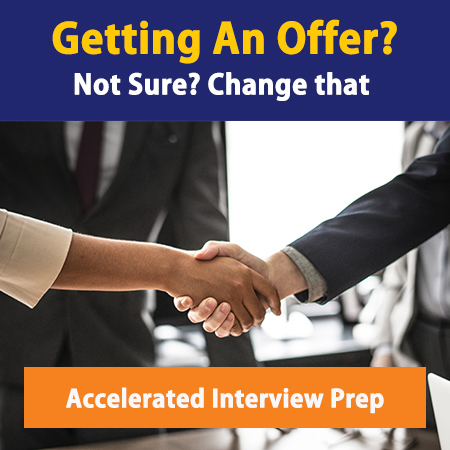 And what did you notice were some of the differences in the first round interview process for those firms? Peter: I could genuinely bucket them into three different categories. One being the MBBs, the one being the big fours, the other one being the internal consulting firms. At MBB, they were very, very case driven and very professional. Basically what you would envision at MBB. The big four were a lot more collegiate, more welcoming. The atmosphere itself, and the interview itself was very, very different in the fact that the big four in the UK in comparison to the MBB over here really focus a lot less on the case study. I think out of the four firms, I think I only had one case interview, which happened to be at Deloitte. Instead, they look a lot more more at your CV and take a more holistic look at individuals. For example, we do what we call competency interview questions where we asking interviewees to give examples of when they’ve shown certain leadership skills and how did you overcome this different things etc. The internal consulting divisions at banks had a very, very similar feel to the big four. They had a very collegiate atmosphere, and focused on a lot of the competency interviews rather than any case studies. Jenny Rae: Did you make a decision at that point about which one you really wanted to focus on, or did you kind of just let the cards fall as they may? Peter: I think at that time I just let the cards fell where it really needs to be. I think just due to the fact that market conditions then weren’t as great as now. Jenny Rae: My second question would be – where did you move on to second rounds, and what, if any, feedback did you get? Peter: The feedback from McKinsey alluded to what I highlighted earlier, in terms of just being kind of calm. In my case interview, I jumped around a lot in terms of the way that I approached the case study, and ultimately how I got the answer. I got to the end, however it was just really complicated and back and forth. I was just very, very nervous for the interview and that’s why I did quite poorly in the first round. Jenny Rae: But you succeeded at Bain. What was the difference there? Peter: I went through a lot more preparation, had the one-on-one case interviews with my friends, prepped a lot more than the McKinsey interview. I took advantage of career counseling center at LSE anyone who was interested in just having one-on-one case study, case interviews. Actually having a one-on-one interaction was actually so much better for me because the other person picked up when I stuttered, and when I was trailing off, so I that helped me a lot in terms of going through the Bain interview. Jenny Rae: You said you got an offer at Deloitte, and there was another firm that you got an offer at. Which was the other firm? Jenny Rae: What did you notice about the final round interviews, and what do you think made you successful in those two? Peter: The final round here consists kind of two different parts, an assessment center and a final round interview. Because PwC and Deloitte are both in the Big Four, the process itself is very, very similar, which I break down into four different categories. The second part of that hour was a written assessment in terms of you get a mini case, so it was kind of broken down into those two parts. In terms of trying to be successful, what really, really was helpful was the alumni work that I also had, and in terms of the assessments, a lot of them were actually previous sample ones or practice exams were actually available online within the school website. Jenny Rae: What do you think are some of the differences between interviewing in the U.S. and elsewhere? What are some of the things that would be your insights if somebody was going to interview? Peter: Sure. I think there are two major differences. One of them is massive school interview presence in the U.S. That’s very minimal here. I believe the testing is actually very different too. The E-Tray exercise, the pre-online mathematical testing, the verbal testing, the critical thinking testing, doesn’t really exist as a pre-assessment in the interview process in the U.S.
Jenny Rae: How did you choose Deloitte instead of PWC? Peter: This might sound really random, but when I was at Deloitte’s office I just felt more creative and open I felt more open compared to PwC. It might just be the people that I met at that time, however I just really clicked with them. PwC and Deloitte are actually very similar – because they are Big Four, there is not that much difference. I think it’s just very, very minute, to be honest. So if someone picks PwC now over Deloitte, or Deloitte over PwC, I really wouldn’t think there is a massive difference except for the fact that if you are in strategy, they have a slightly different model than the one we use. Jenny Rae: I know you recently accepted a promotion, so congratulations on that. But how do you do it? What have been some of your key learnings from the inside of the process about what makes somebody successful in consulting? Peter: I think it’s consistently asking how I could improve instead of going with the flow. When I was younger, I used try and just let things slide, but after a while, I just started asking how I could do things better. Now, after five years in the industry I still keep on asking my manager questions so I can deliver something on par with my manager’s expectations. With the people below me too, I always ask them how they think they can improve what they’ve done. Jenny Rae: I just have a couple more questions to ask before we wrap this up. The first one would be: when networking, what would your number one recommendation be for people who want to network their way into a firm? Peter: Remember my name. A lot of the people actually keep on calling me really, really weird names, even though I have a name tag. Also, just come up with something very, very interesting because I’ve actually been with Deloitte for five years and within all five years I’ve been involved in LSE’s recruitment. Within five years, I’ve heard a lot of the same questions in terms of, “I studied this” and “Do you think I’m actually a fit for consulting?” However, I always remember the ones who actually come up and ask me interesting questions. I see their names, their CVs, their applications and I remember their faces. Jenny Rae: Could you give an example of an interesting question? Peter: So one of them actually came up and asked me if Deloitte actually sponsors a lot of events, which we really do. Luckily, I was actually part of a skiing trip 3 years ago, so we started off talking about skiing and from there on we just became very connected in terms of talking about extracurricular activities. Jenny Rae: My second question is about interviews – can you offer more recommendations? Peter: General tips I think are to be prepared, and just don’t be nervous. If you genuinely believe in the stuff that you’re saying, it will come across very, naturally compared to you trying to have a perfectly manufactured answer. Jenny Rae: Great. And that I think that basically, finally, out of what you used on Management Consulted, how would you direct somebody to use our materials or resources that you think would be incredibly helpful for them? Peter: I think the main way Management Consulted helped was with my CV. When I actually reviewed my CV, I could see a massive improvement in terms of it looking more professional and hitting the right points. Also – your stuff still helps me out today, as I figure out how I should be developing and moving forward. Jenny Rae: All right, fantastic. Well, thank you so much for all of your time and your insight. I’ve just loved hearing about your process and development within the world of consulting. Don’t be a stranger to MC!